Enable the connection of two DCE or DTE devices to communicate together without conflict in data transmission. Null modem cables are used for transferring data between computers and devices. It is useful for older computers without Ethernet connections. 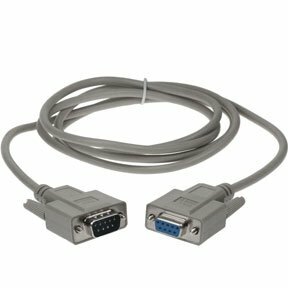 You can choose from a variety of products including DB25 M/F Null Modem Cables, DB9 M/F Null Modem Cables, DB9 Female to DB25 Female Null Modem Cables, DB25 F/M Null Modem Cables, DB9 F/F Null Modem Cables, and others. All cables are available in varied lengths to meet your requirements. We source products only from ISO 9001-2000 registered manufacturers and available at competitive prices as the costs of middlemen are eliminated. All products are RoHS compliant and environment friendly. You can also expect good after sales service and lifetime technical support on all products ordered from SF Cable.